Cloud Gaming is offered via the Internet as streaming games which runs on external servers, audio and video are transferred to the client with little hardware. The market for graphics cards is as ephemeral as the graph of current computer games. As the latest and fastest models of graphics cards are usually very expensive,and consumers often have to pay much money for the latest high-end graphics, cloud gaming is a good alternative idea. Cloud Gaming run on high-end server systems, videos and other compute-and graphics-intensive works are pre-calculated and delivered over the Internet to the consumer. The home PC or laptop needs no fast 3D graphics card to play these Cloud Gaming. Cloud Gaming can thus be enjoyed in full with or without high end graphics card. 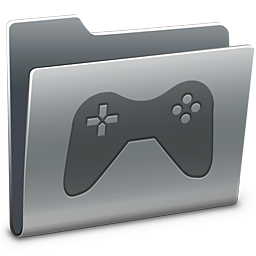 The games run on external servers dedicated for Cloud Gaming and only the user input to the server is needed and in return sound and video to the client is sent. All games those run on these servers that are accessible from anywhere via the Internet. Since 2005, Cloud Computing is also used for games as Cloud Gaming. Cloud Gaming service was first offered in Cyprus and ushered in the test phase of the technology, starting in 2008 Cloud Gaming service is streamed in HD (720p). A theoretically perfect digitized game could could also lead to a monopoly of this cloud gaming as software provider. If the games are sold only in digital form to a few services, the lack of competition to keep prices high in the long term. For cloud gaming there is no need to install the game, the audio and video files are first compressed and then directly through the internet from the server to the client. In cloud gaming there is also known latency problems during the transfer, the data sent by the server cloud is compressed and then assembled at the client with special video codecs. How long is the possible delay of reaction to be reflected on monitor depends on the genre of the Cloud Gaming, Internet connection etc. Prerequisite for cloud gaming is subscription, which is usually much cheaper than buying more expensive hardware, especially since the cloud servers used for Prerequisite for cloud gaming, of course, a subscription, but which is usually much cheaper than buying more expensive hardware, especially since the cloud servers used always reflect the current state of the art. Billing for Cloud Gaming is use dependent like other Cloud Services. About Cloud Computing many things has been published by us. There are more to say about Cloud Computing. This is a start up article on Cloud Computing for all. Big thanks for an amazing piece of games information. Cite this article as: Abhishek Ghosh, "Cloud Gaming," in The Customize Windows, March 24, 2012, April 20, 2019, https://thecustomizewindows.com/2012/03/cloud-gaming/.